On a recent trip to Liverpool we had a wonderful time exploring the city. It’s well worth a trip for just one of the cathedrals, but as the song goes “We speak with an accent exceedingly rare, if you want a cathedral we’ve got one to spare”, and a short walk along Hope Street connects the modernist Catholic “Paddy’s Wigwam” to the Gothic (and enormous) Anglican one. You’ll be assured a warm welcome at either one regardless of your affiliations. Liverpool was once a stupendously rich city, and the buildings reflect this. It’s no longer rich, but it still has the architecture, boulevards and parks that were bequeathed to it, along with a vibrant arts scene. We’d busied ourselves with tourist fun, enjoyed some wonderful gin cocktails in lively bars and feasted on great Italian food, but returning tired to our hotel raided the free wine. Let’s be clear upfront, this wine was an unexpected bonus, and the minibar was stocked with wine, crisps, chocolate, water, beer and pop, all free. I point that out good and early to remind you what fantastic value the wine was, and what kid of price point the hotel must have been working to to provide it. Fair play to the hotel, they also provided nice wine, beer and water glasses. No need to unwrap a plastic cup or drink from the bottle. The wine itself had clearly been blended to be inoffensive to almost every palate. 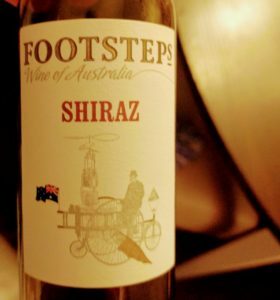 Both the Chardonnay and Shiraz choices were bold of colour, with an instant hit of sweetness and a shy and retiring acidity. They were both packed with fruitiness of a chewy sweet variety and topped with a layer of oak that may have come from sawdust. I don’t say that to be mean. These two wines were better than some I’ve been served as house wines. They provided a comforting, sweet, smooth drink. I wouldn’t buy them, but if someone was venturing into wine from lemonade and cherry pop, they’d be a good entry point. Both were blends from different regions and different vintage so chapeau to the winemaker who pulled something drinkable together from what I imagine were not their first choice of parcels. Go to Liverpool, enjoy the history, the architecture, the football and the bars. Bring your mini bottles of wine home to throw in a risotto or casserole.